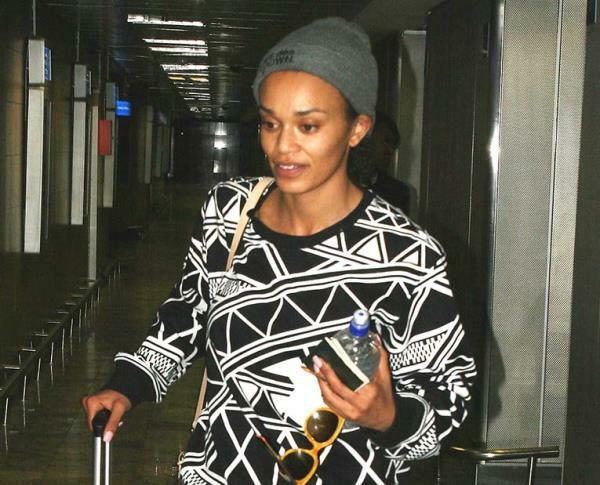 Pearl Thusi is off to meet A-list celebrities in Los Angeles this weekend. The television personality will be interviewing US celebrities at the premiere of three short films produced for this year’s Jameson First Shot competition. We caught up with Pearl at OR Tambo International Airport before she jetted off to London on Tuesday night. Accompanied by her friend, Masasa Mbangeni who plays Thembeka in e-tv’s Scandal Pearl told DRUM that she’s looking forward to meeting renowned film director Kevin Spacey and actress Uma Thurman. She couldn’t hide her joy as she told the airport employees that she is going to LA. But this is not the first time Pearl is jetting of to the states. “I’ve been to the states but not LA, I am so excited,” she said. The Isidingo actress revealed that she was looking forward to meeting her favourite actress, Uma who stars in the three films directed by Kevin Spacey. Jameson First Shot is an international short film competition which offers three aspiring filmmakers the chance to have their film made starring Uma Thurman, supported by two-time Academy Award winning actor, Kevin Spacey in his role as Creative Director. “I hope to do other business deals while still there,” she said. Pearl will be interviewing celebrities for SABC1 programmes like Real Goboza, Mzansi Insider and Morning Live. The Live Amp co-host also reveals that she hopes to be mentored by Kevin and other actors. She will be back on 1 August 2014. We wish her luck.